It seems like we get questions from our readers every day asking how to create their own workout plan. Here are some simple rules and tips for creating a workout plan that will help you get closer to your goals. Are you interested in adding muscle? Consider a plan with increased weight, less cardio and more rest between muscle groups. Continue lifting weights, increase reps and increase cardiovascular exercise. Do you have access to a gym? If so, what equipment is available? Will you workout outside? What routes can you use for cardio? Is there a park with pull up bars, benches, and stairs? Can you workout at home? What equipment do you have/need? Will you use any DVDs? If you worked legs one day, do not follow it with an additional leg workout – your muscles need rest! Use those days to your advantage and save your energy for lifting heavy on legs. Muscles have memory. They also get adapt well to the “work” that you are subjecting them to – keep them guessing by changing up your exercises and routine every 4 weeks. Remember – it takes time to produce results. Don’t be afraid to try new things and determine what works best for you. You and your body are unique – what works for one of your friends may not work for you. 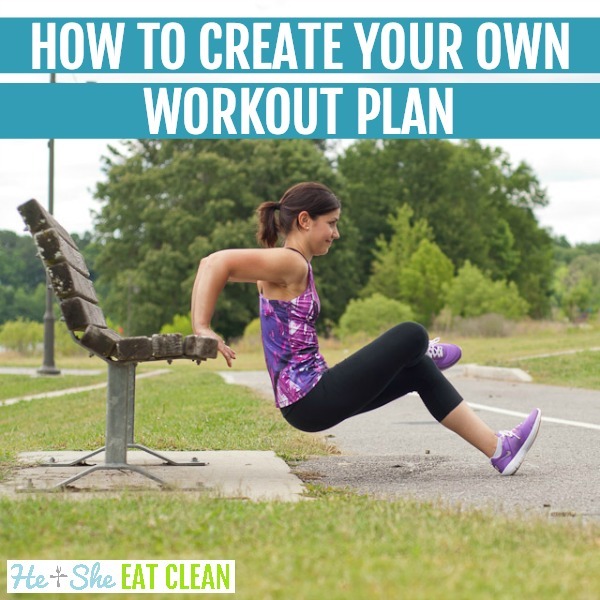 And, if you aren’t into the time-consuming task of creating your own workout plan…never fear! We have plenty for you to choose from!